P.S. 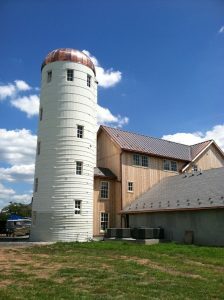 Construction Inc. is a multifaceted construction company participating in a variety of residential and commercial needs. The company was established in 1982 by Peter Streletz, president and 100% shareholder. P.S. 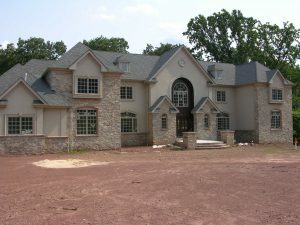 Construction Inc. operates its office and custom work shop in Kintnersville Pa. We serve all of the tri-state area needs. Our company started out installing interior trim in the early 80’s and quickly progressed to custom kitchens, fine interior woodworking, libraries, creative fireplaces, finished basements, wine cellars and bars, exterior trim, additions, renovations, custom luxury residential homes as well as summer beach homes, bank barn reconstructions, commercial office flex and commercial fit ups, and ADA compliant renovations. P.S. Construction Inc. has completed 16 custom homes and several intermediate housing projects. P.S. Construction Inc. takes pride in its craftsmanship and eye for detail. We work hand in hand with our client to ensure that the completed project is a success. We believe that our clients deserve a well-managed job with open communication at all times. Having the highest level of integrity for detail P.S. 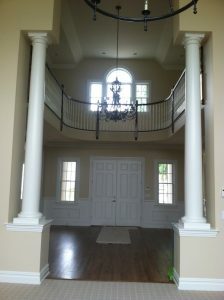 Construction Inc. creates beautiful, spacious, functional, smart living for today’s customers. Copyright © 2019, PS Construction, Inc.